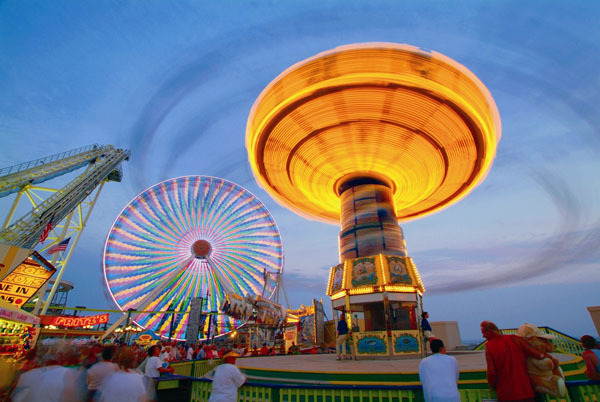 This summer endure some heart racing, hair-raising fun at Wildwoods, New Jersey, where your playground consists of 5 miles of white-sand beaches and 38 blocks of boardwalk excitement for the entire family. 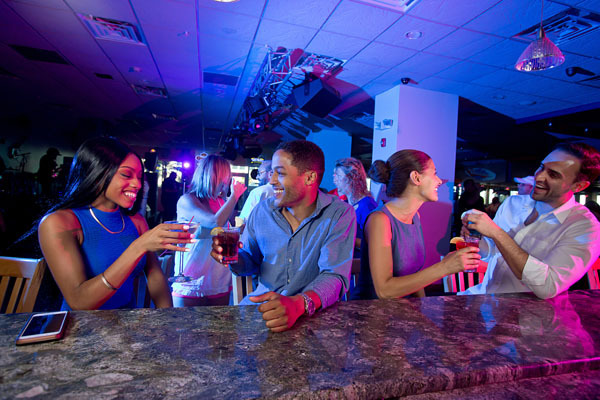 It has been hailed as one of the liveliest stretches of fun and excitement on the East Coast. Guests can choose from over 8,000 hotel, motel and bed and breakfast rooms from family-owned and operated establishments that deliver a warm brand of hospitality and personal service. If you’re just having too much fun and decide to extend your stay, Wildwoods features a variety of weekly vacation rentals including condos, apartments, townhomes, duplexes and cottages throughout the island. Overlooking the pristine beaches is the Wildwoods Boardwalk, which offers guests a sensory overload of sights, smells and sounds, day or night. 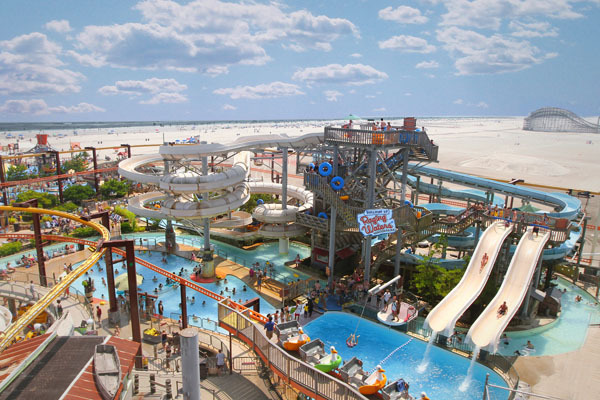 Visitors can choose any of over 100-rides and attractions including world-class roller coasters at Morey’s Piers and Beachfront Waterparks, 75-foot high cliff dives at Ocean Oasis Waterpark and Beach Club and the thrill of the Speed Dominator at the Splash Zone Waterpark. There are also classic carnival-style games, flashing arcades and an abundance of retail shops and eateries for in between the fun. Elsewhere on the island, guests can partake in water activities such as jet skiing, parasailing, wave running, surfing, speedboat rentals and adventurous deep-sea fishing charters. On land, try a myriad of activities like biking, hiking, golf at one of 6 golf clubs, including Cape May National Golf Club, go-karting and the Cape May County Park Zoo for a fun family friendly day. The kids will love browsing through 200 different species of animals, birds, amphibians and reptiles in its entire collection of 550 animals. For the adults, there are 6 wineries in the area, and all offer great tastings and even better wine. There is also the 7-mile brewery, a small brewery that produces great beer and 3 distilleries. With so much to see and do, there is never a dull moment on this thriving island. 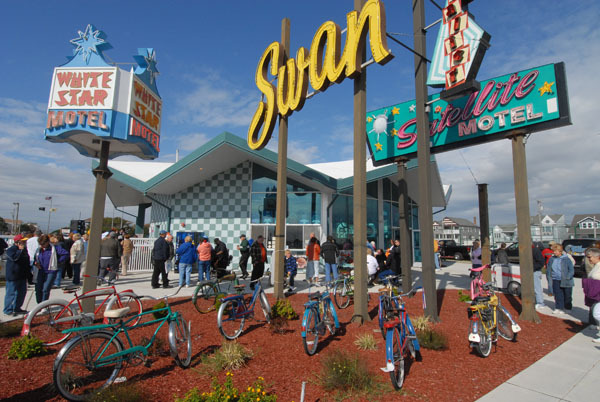 Wildwoods is known for its attractions, but its shopping is a true paradise. Whatever you’re looking for, whether it is beachwear, sportswear, accessories, memorabilia, collectibles, antiques and home décor, you will be able to find a bargain at Wildwoods. After a day of shopping, swimming, chasing after the kids, settles down at one of many dining options from casual to fine dining, even buffet style. There is something for every palette including seafood plucked fresh from the ocean, pizzerias, bars and bistros, classic American burgers and gourmet markets. 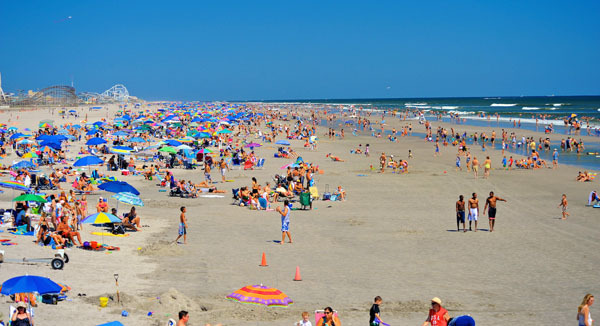 Wildwoods is a place where everything you want and can dream of is all on one island. There are not only attractions for the kids, but for mum, dad, the grandparents and even the furry family member. Every day there is a new event from international kite flying festivals to conventions and music festivals. There are boundless capabilities at Wildwoods, which is why it is so beloved by people from all over the world.